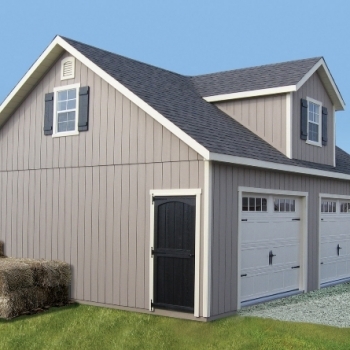 Do you need some extra storage, more than what a shed can offer? 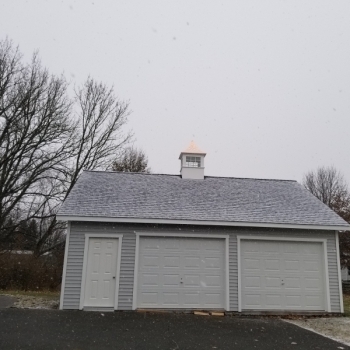 Can’t go another winter with your car out in the snow or cold? 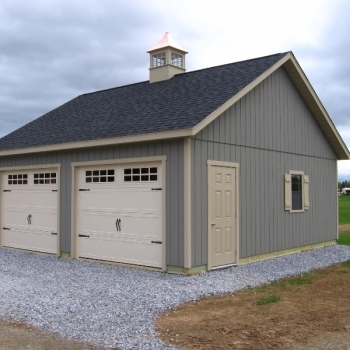 Amish Mike’s storage and barns offers a wide range of garage sizes. 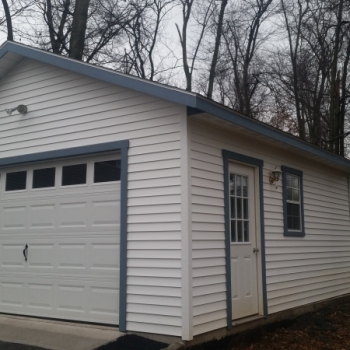 Our garages can be constructed as a modular or a total built on site. 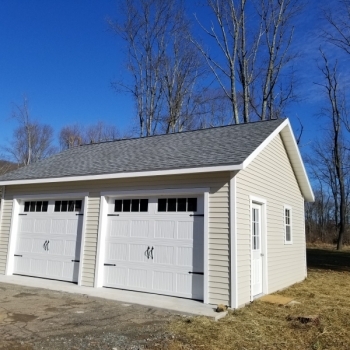 When choosing a modular construction, the building is brought to site in halves, the first brought in, then the other half and there is some assembly required to connect both pieces on site.Our garages are available in wood, vinyl and other siding choices. 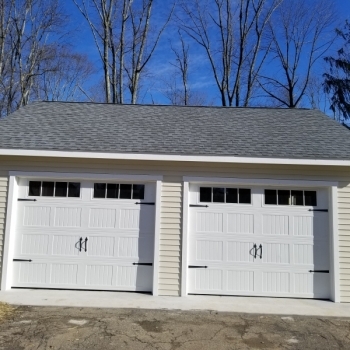 With our 2 car garages, you get 2 garage doors, 1 entry door and 2 windows with trip or shutters. 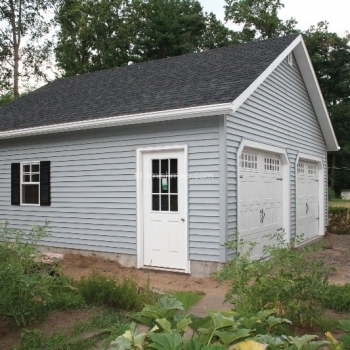 Either a modular or built on site garage will require a level foundation. 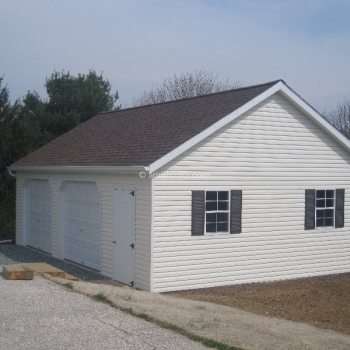 Most towns require a concrete foundation for a 2 car garage.Looking to add a 2nd floor or more storage? 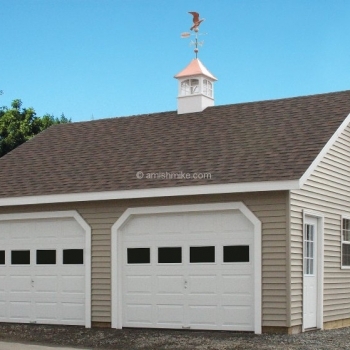 Take a look at our 2 story 2 car garages.